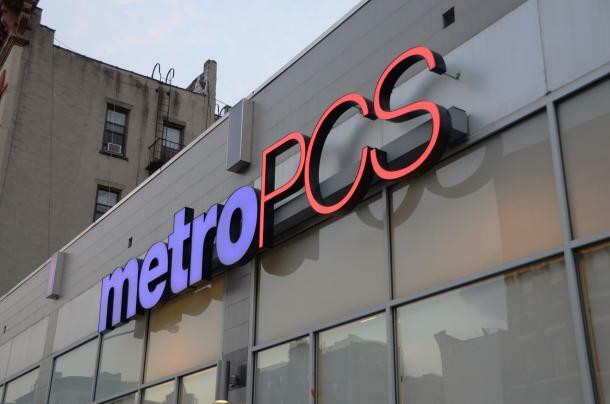 In the prepaid race, MetroPCS has always been at the forefront of competitive offerings, which makes its unfortunate that the company reported a net loss of 93,000 subscribers in the fourth quarter. As Metro faces increased competition, the company dropped to 8.9 million subscribers overall. The dip in subscribers this morning comes as the company prepares for its merger with T-Mobile USA. It’s the first time the company has reported a net loss of subscribers in the fourth quarter, and the third straight quarter they’ve seen net losses. As T-Mobile’s recent quarterly numbers have suffered in the postpaid arena, their prepaid growth has been a lone beacon of positive news. With increasing competition in the prepaid space, T-Mobile and MetroPCS will have to work fast and furious right from the start to keep the space competitive with offerings that entice customers to stay with the new company. Let’s hope that T-Mobile and MetroPCS can achieve exactly what they set out for, to bring Value to the masses on a nationwide network. ← As Samsung And HTC Post Vastly Different Financial Results, Can HTC Survive? Is there any way to tell how many are jumping Metro’s ship because they feel they’ll have to with the pending merger or because of better options (e.g. pricing ,coverage etc.)? I dont think so. My friend is leaving from Metro to T-Mobile because they have high end phones at a almost comparable low monthly price. She got a GS3 from a LTE LG phone. which area is your store located? I might say it may be a good thing for T-Mobile. MetroPCS customers moving to T-Mobile will expedite things and take less effort for T-Mobile to move customers out of MetroPCS’s network. hmmm. Don’t you have to PERFORM at every job? if you are not performing, then it’s their right to terminate you! I would worry to much about this it means nothing legitimate anyway. Those folks were leaving anyway they couldn’t be saved. Now with this merger metropcs customers will have legitimate choices of industry leading devices. Better days are definitely ahead in tmo land. Im glad to here it with t-mobile raising there prepaid prices, I hope metro keeps losing customers before the merger happens. what happened to $50 (with tax) a month? They still have that plan.. This also tells another tale very bluntly… IF T-MUMBLE can’t deliver what MetroPCS and T-Mumble have promised in speedy 4G/LTE service, they are COOKED, and the both of them will collapse. In the major markets, T-Mobile already delivers very speedy service. I’m in NYC and I get between 14-16 Mbps @ 5 GB for $30 a month (around $27 now that I use callingmart). You can’t really beat that.